Not only since the publication of the EU directive concerning environmental noise the sound acting on sleeping or living rooms or other rooms requiring protection from noise has become important. 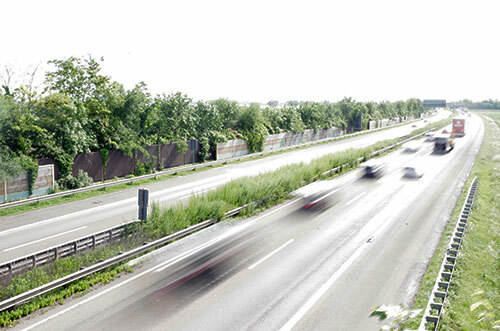 Frequently, sound reducing measures that affect a huge number of sound sources cannot be implemented so that in those cases, we design sound barriers that allow for meeting the acoustical requirements concerning the rated sound level. outside buildings according to DIN 4109 and define the sound reduction index windows must have in order to achieve sufficiently low sound pressure levels inside living or sleeping rooms.